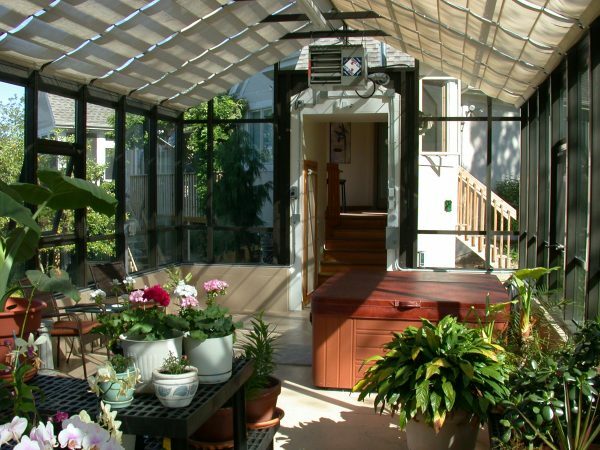 When gardening is your hobby, a home greenhouse becomes a necessity. 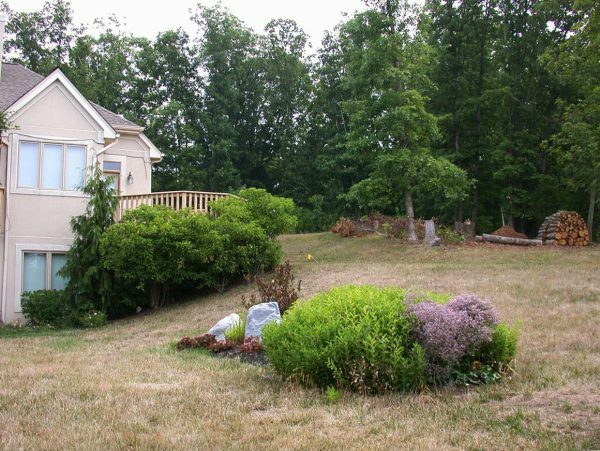 After all, the only way to grow beautiful flowers and vegetation in the off season is by having a place to keep the plants protected. 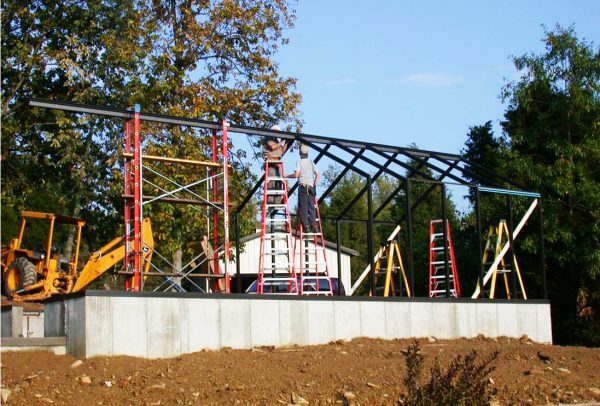 Connecting your greenhouse to your home makes gardening in the off season even easier! 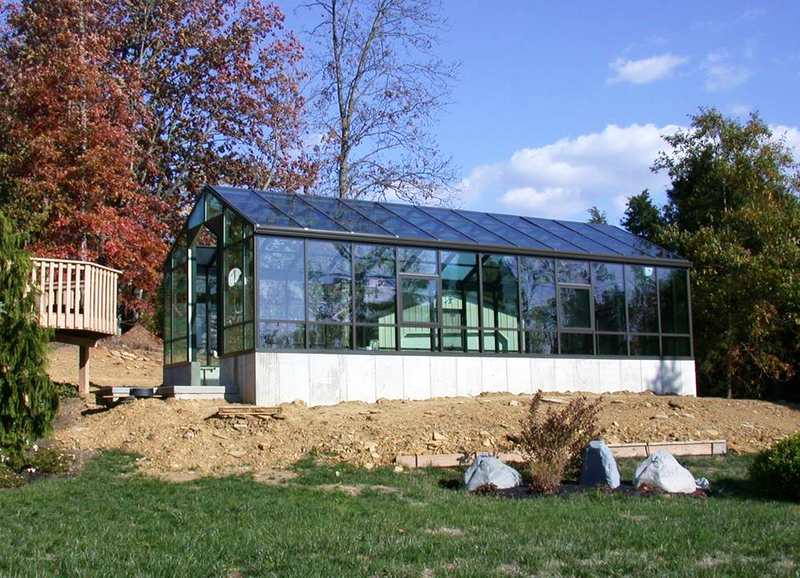 This home outside California Kentucky features a 15′ x 10′ greenhouse that was built as an addition to the home. 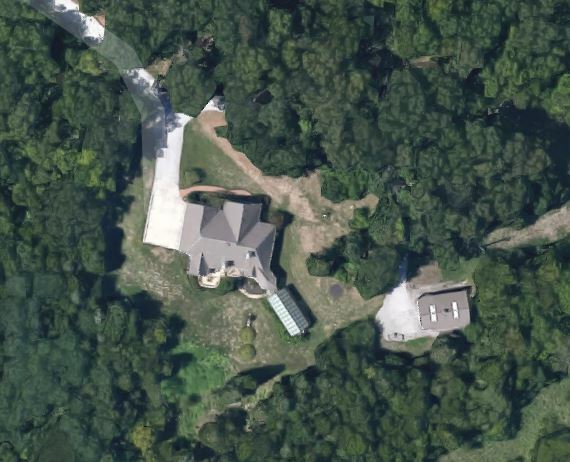 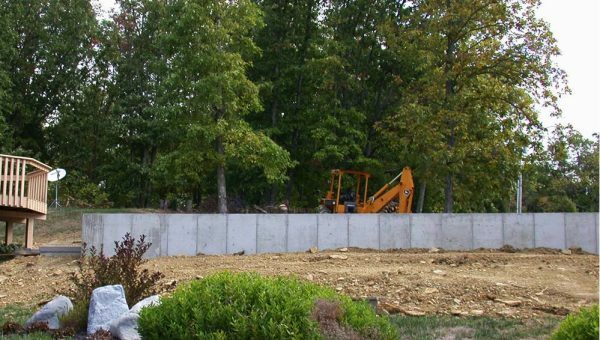 As the photos show, land was selected especially for the accessibility from the home. 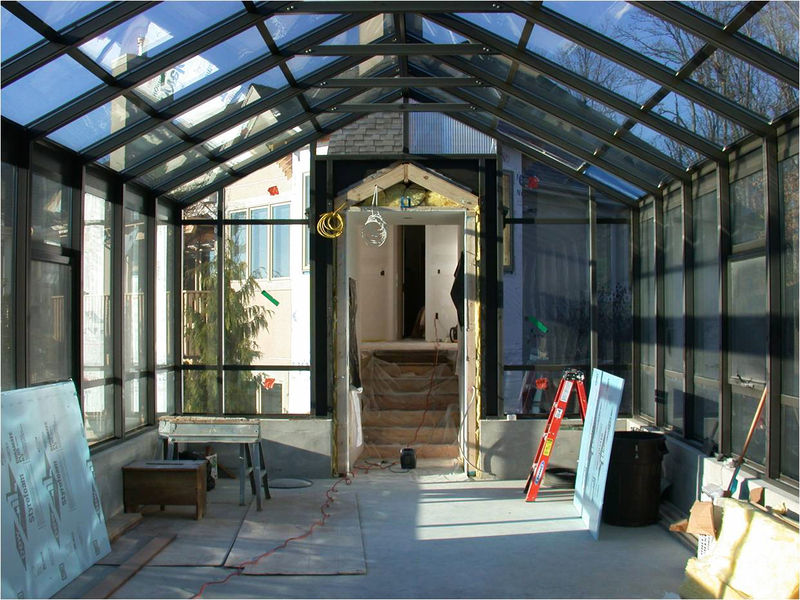 After the greenhouse was constructed, a walkway from the home to the greenhouse was added. Crystal Structures offers several different levels of greenhouse. From the hobbyist to the professional grower. 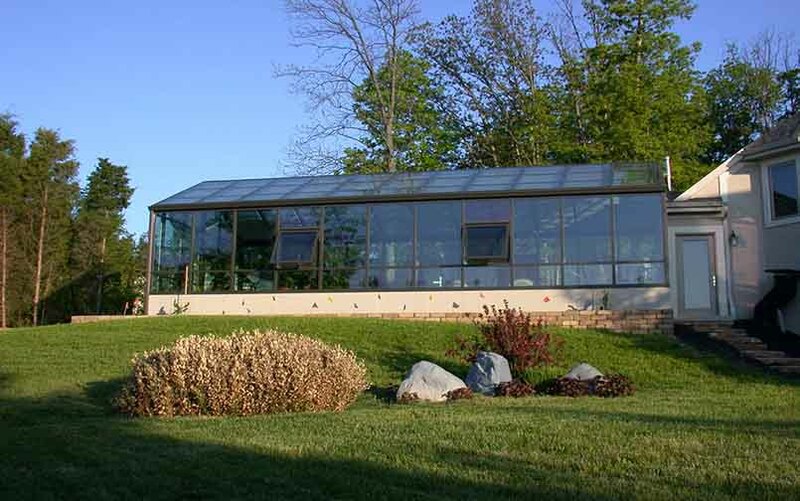 The greenhouse options include everything from basic tables and venting to high end automated systems. The framework on this greenhouse features built in tracks for sun shades to be installed without additional hardware or drilling. 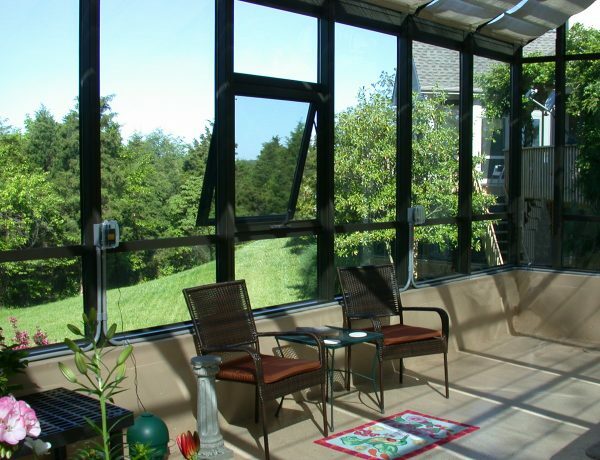 The tracks also provide the ability to have hanging plants or lighting if the homeowners desire. 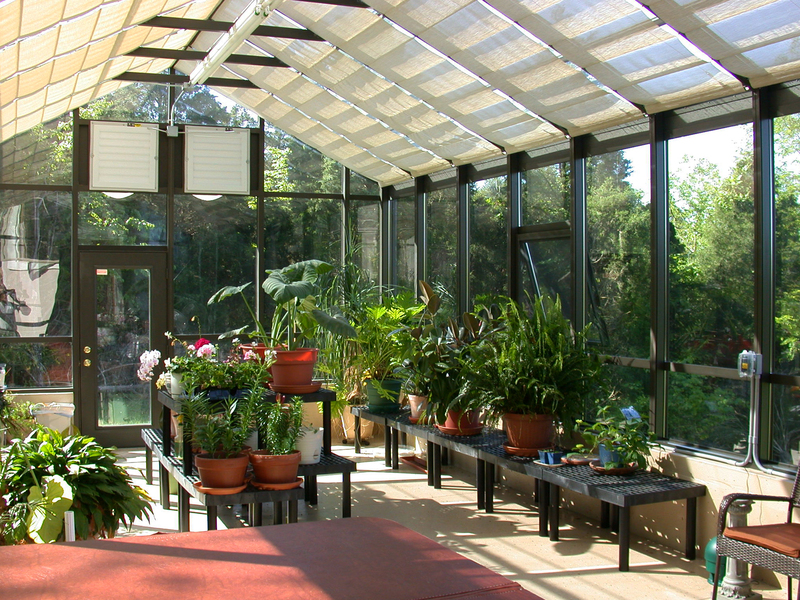 Venting for the home greenhouse is featured above the exit and the tilt out windows allow breezes to flow in good weather. 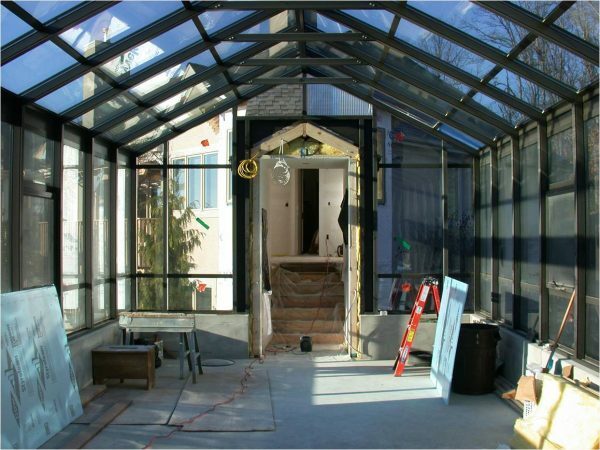 The view from inside the greenhouse is just gorgeous, another great reason to have a glazed structure like this as an additional space for your home. 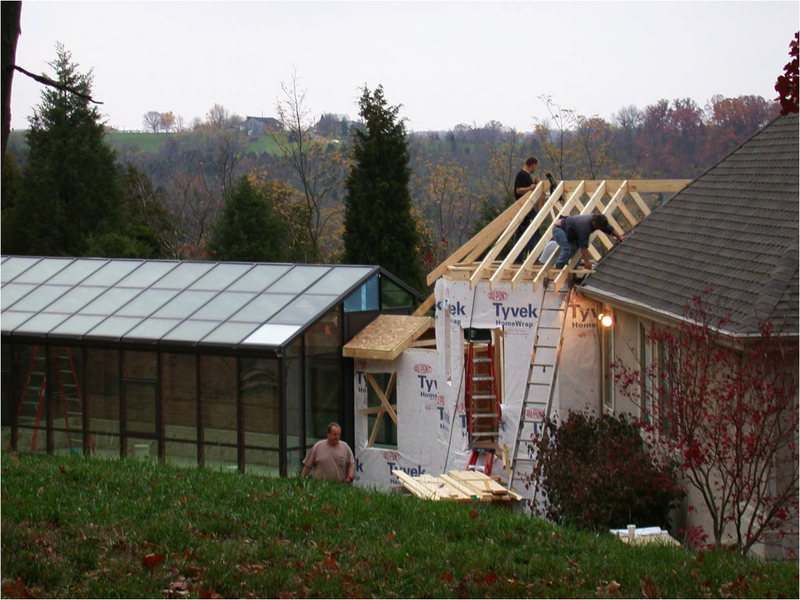 View the photos below, click to enlarge. 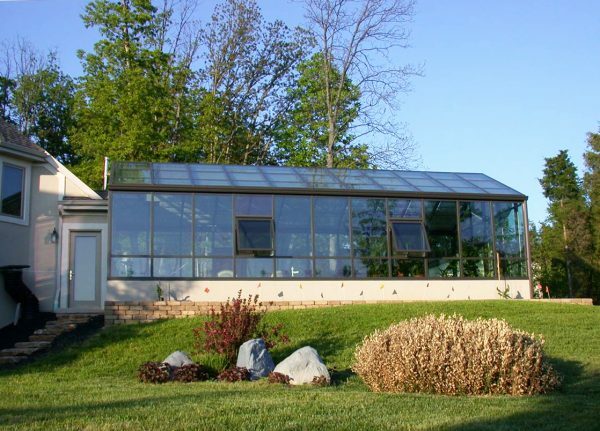 Learn more about our home greenhouse systems here. 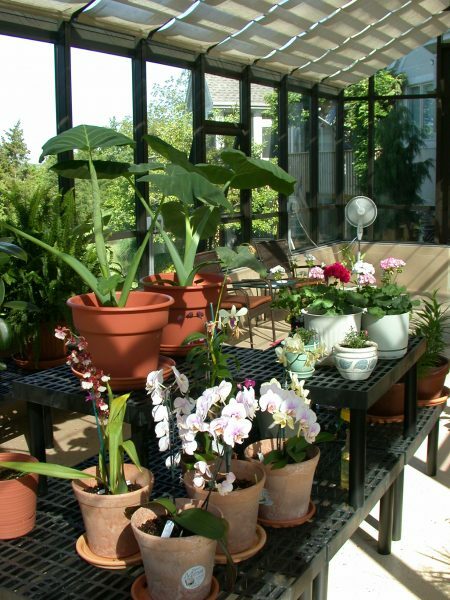 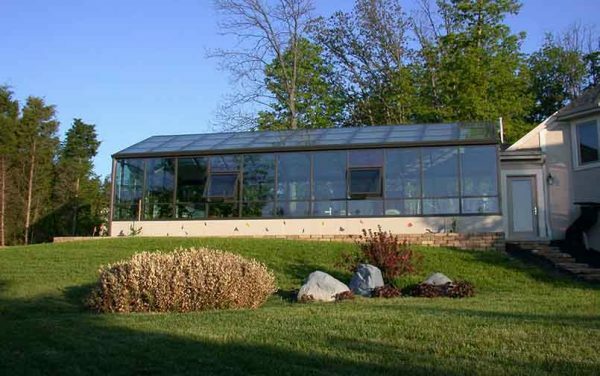 Previous Post: Greenhouse, sunroom, solarium – what’s the difference?